Just spent 3 days in Brisbane for the Kultour Gathering 2013 – intense conversations around the issues surrounding multicultural arts practice here in Australia – a really wonderful group of people and though provoking exchanges. Seeking Biloela – where science and dance meet Indigenous and cross cultural heritage. 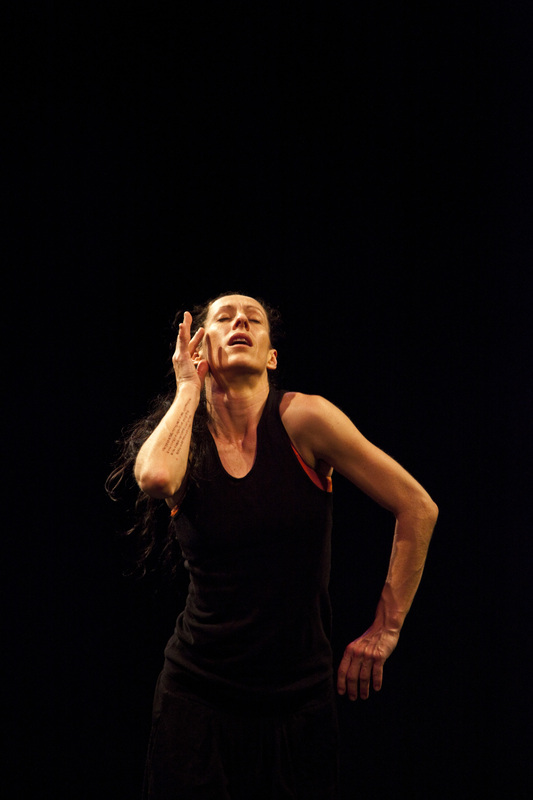 Two new solo works by internationally recognised dance artists Tammi Gissell and Liz Lea bring to life stories of Indigenous knowledge and Indian traditions – dance and music refined by scientific fact. ‘Magnificus Magnificus’, performed by Tammi Gissell and directed by Liz Lea, dives into the world of the red tailed the Black Cockatoo. ‘Magnificus Magnificus’ draws upon Indigenous knowledge and stories, aligned with science. The work celebrates a stunning bird, her history, character and style in a cabaretesque explosion of feathers. Highly theatrical with a simple but effective set ‘Magnificus Magnificus’ explores the nature of being a performer, where we come from and how we go forward, making the most of Tammi’s strong performance quality, speaking voice, strength and vulnerability. The red tailed Black Cockatoo is the bringer of truth, tears and rain. Let the stories begin. ‘Kapture’ created and performed by Liz Lea is inspired by the writings of Ahmed Kathrada and his favourite Hindi song about a trapped bird. Kathrada was imprisoned alongside Nelson Mandela for 26 years. A play between dancer and drummer and accompanied by ARIA Award winner Bobby Singh and Sandy Evans, Lea flits between spoken and song, dance and drama. Classical Indian contemporary and flight in and around a set of light designed by Karen Norris. 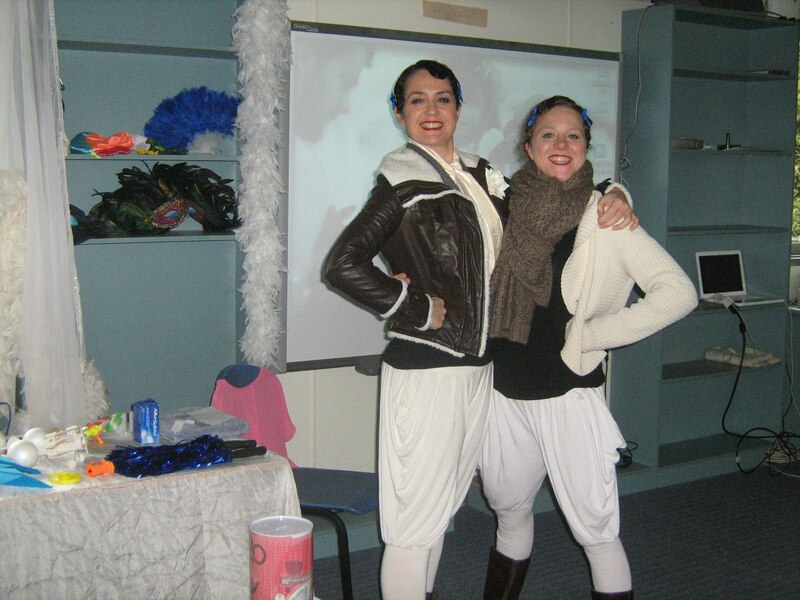 Natalie Ayton and I toured to 8 schools and taught and performed for 840 school kids in 4 days…. I spent the last week working with the fabulous Tammi Gissell and Natalie Ayton, in residence at QL2 Dance Inc.
Last year for National Science Week is created a premiered an education show about the science of flight – Flying Facts. We opened NSW 2011 at Questacon and QL2 dancers joined me with their work InFlight Entertainment – much fun and a great way to explore movement and research. Flying Facts is derived from InFlight, the new full length company work I will create in 2013. The aim was to develop an education show for children, still accessible for adults, as part of touring the professional work. This week I taught the work to Natalie Ayton a wonderful dancer I trained with in London at London Contemporary Dance School. We are touring the work to 9 schools in the Bendigo area, Victoria, teaching over 840 students! This is a co-production with the Discovery Science Centre in Bendigo and Liz Lea & Co. The NSW show in 2011 led to the Director of CSIRO Discover, Cris Kennedy, inviting me to become Choreographer in Residence at CSIRO Discovery this year. An exciting position with many opportunities presenting themselves and access to amazing research facilities. My first focus has been to develop ideas for a new solo called Biloela. I am working with indigenous artist Tammi Gissell to develop the work and it is all based around the Red Tailed Black Cockatoo. Biloela is an Indigenous name for the White Tailed Black Cockatoo so this is now only a working title! We are focusing on the Red Tailed bird as this is the subspecies that is native to Bourke, where Tammi is from. The movement we have been developing is based around poems, facts and stories about the bird, combined with Tammi’s very distinctive movement style. As we enter into full production mode we will introduce classical Indian movement also as a foil for the contemporary dynamics. Tammi led a workshop for QL2 dancers on Sunday 5th. She also taught CDT’s GOLD over 55’s dancers a sequence of Indigenous movement – stunning. We hope she will be able to return to Canberra next year for the work we are creating at the National Gallery of Australia. We met with Cris Kennedy from CSIRO Discovery, visited the CSIRO Library and Sustainable Ecosystems, assisted by Dr Robert Palmer. Liaised with Dr John Yound about the nature of flight and Dr Gordon Waddington about the scicne of movement and injury prevention. Lorna Sim photographed the rehearsals and Simeon Fuller from CSIRO filmed the outcomes. On Saturday Natalie premiered her Flying Facts and we gave a showing of the Black Cockatoo findings. An exciting week and exciting times ahead! I am extremely grateful to Ruth Osborne, Gary Barnes and Kat Voss at QL2 Dance Inc for all their continued support of my work, ongoing ventures and computer meltdowns. 120 Birds invited to pitch at LongPaddock Darwin!! 120 Birds have been given a pitch slot at the huge theatre and arts expo LongPaddock, aimed at developing links and possibilities for National touring…. lots of prep to do and fingers crossed! Having just worked with the Small Miracles Company directed by Crossroads Arts in Mackay I have just returned to Canberra to pick up the reigns of Canberra Dance Theatre and take up the role of Choreographer in Residence at CSIRO Discovery. The Small Miracles company are an amazing group of people with disabilities who have created a wonderful work called Whiff which we presented at the Mackay Festival over 4 days. Directed by Steve Mayer Miller is tells the story of Max, who makes perfume and saves the day. It is a heart lifting, funny and touching tale beautifully directed and performed, starring Brendan Borellini who is both deaf and blind. I am honoured to have worked with such amazing artists. Back in Canberra with jumper on, looking for a place to settle and looking forward to new juices flowing….